DescriptionInvite your guests to raise a glass with these fabulous drinks tokens from our Scripted Marble collection. Featuring a stylish hexagon design edged in gold, the tokens may be exchanged at the bar and enable you to buy each guest one free drink. Each pack contains 25 Drinks Tokens. Invite your guests to raise a glass with these fabulous drinks tokens from our Scripted Marble collection. 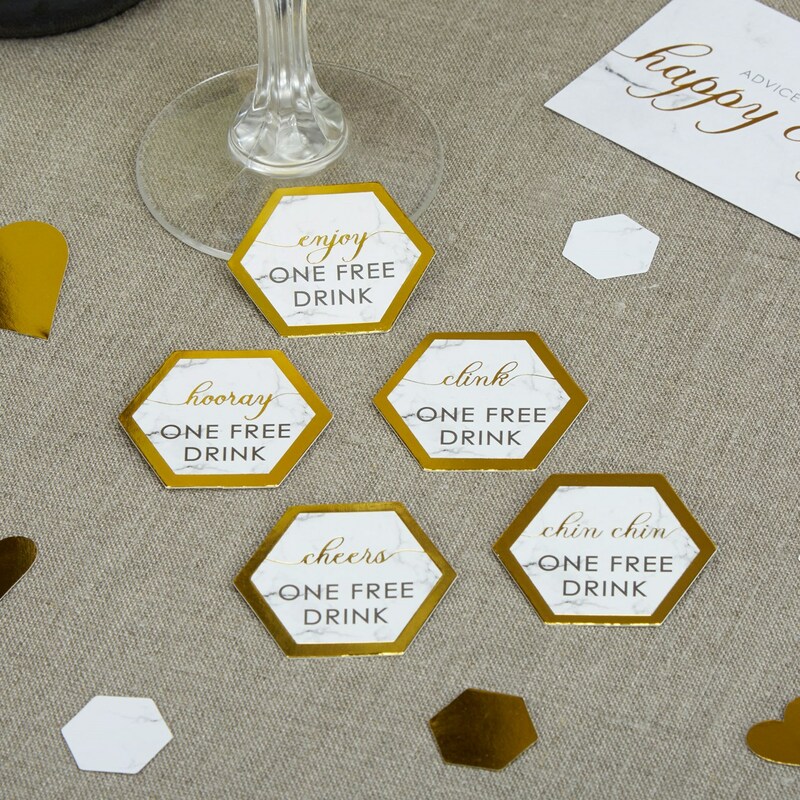 Featuring a stylish hexagon design edged in gold, the tokens may be exchanged at the bar and enable you to buy each guest one free drink. Each pack contains 25 Drinks Tokens.